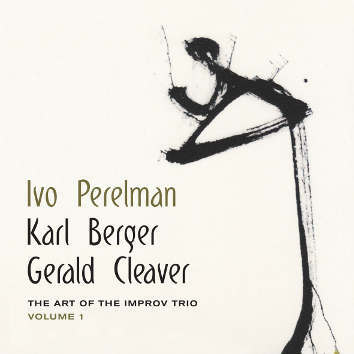 Two constant elements in this trio are Ivo Perelman and Gerald Cleaver, who is a variegated, hyper-intuitive, yet utterly grounded drummer whose association with Perelman dates to 2010, during which time he has supported and helped shape Perelman's most intrepid explorations. Says Ivo: "Gerald is such an incredibly flexible, adaptive drummer in that sense, he is better than I am in reacting to what's happening. That's his role; my role is to provoke the reactions." This is the third time Ivo recorded with Karl Berger who swapped his mallets to the grand Steinway. Read notes by Neil Tesser and Karl Berger.